Blair Hinkle has won the World Series of Poker Circuit Horseshoe Council Bluffs main event three times. He first took home the title in 2010, and then emerged victorious with back-to-back wins in 2013 and 2014. 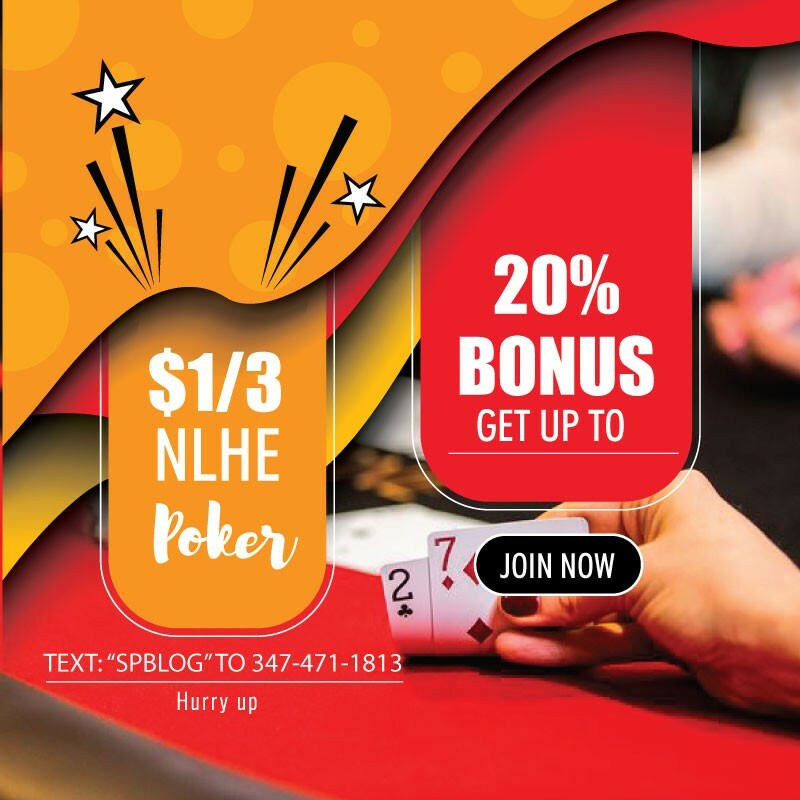 In the 2019 WSOP Circuit Horseshoe Council Bluffs $1,700 no-limit hold’em main event, Hinkle came as close as possible to winning the title for the fourth time, but Nicholas Burris ultimately sent him home in second place. Burris, a 42-year-old insurance broker, earned his second WSOPC gold ring and the top prize of $99,267 as the champion. The tournament attracted a total of 273 entries to create a $413,595 prize pool. By the start of the third and final day of play just six players remained, with Kevin Berthelsen sitting in the lead. Burris began the day in second chip position with 1,790,000, while Greg Jennings was in third place with 1,355,000. 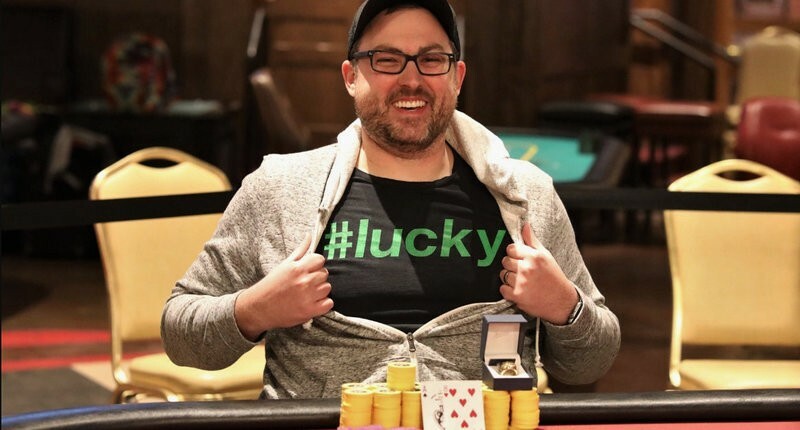 The two most accomplished players at the table were nine-time WSOPC ring winner Ari Engel and Hinkle, who has won four of his five rings at the Horseshoe Council Bluffs. The first elimination of the day took place when Ari Engel moved all in with 8Club Suit6Club Suit out of the small blind and got called by Kevin Berthelsen from the big blind. Berthelsen’s ADiamond Suit10Diamond Suit held up and Engel was sent home in sixth place, earning $18,769. Burris secured his first knockout of the day by flopping a set of fives against Sarah Zeluf, who hit trip tens by the river. Zeluf moved all-in and was quickly called by Burris’ full house. She was awarded $24,630 for her fifth-place showing. Greg Jennings was the next player to bust. He limped in with 9Diamond Suit8Heart Suit out of the small blind and Kevin Berthelsen checked his option holding 6Spade Suit5Diamond Suit. The 9Spade Suit8Club Suit3Heart Suit flop gave Jennings top two pair and Berthelsen a gutshot straight draw. Jennings checked and Berthelsen checked behind. The 7Heart Suit on the turn completed Berthelsen’s straight draw. Jennings bet 50,000 and Berthelsen raised to 125,000. Jennings moved all-in for 650,000 or so and Berthelsen made the call. The ASpade Suit locked up the pot for Berthelsen, sending Jennings home in fourth place ($32,839). Berthelsen was the chip leader to start three-handed action, but Burris picked up pocket queens and got all-in against Berthelsen’s AClub Suit1-Diamond Suit to win a massive pot. Burris flopped top set and held from there to overtake the top spot on the leaderboard. Berthelsen got his last chips in preflop with ASpade SuitKHeart Suit up against the KDiamond Suit10Diamond Suit of Blair Hinkle. The board ran out KSpade SuitQDiamond Suit5Diamond Suit10Spade Suit8Spade Suit to give Hinkle two pair. Berthelsen earned $44,511 as the third-place finisher. Burris entered heads-up play with 4,840,000 to Hinkle’s 3,350,000. Hinkle was able to overtake the lead, and even built a 2-to-1 advantage at one point. Burris was able to win a key pot with a rivered straight to close the gap. He regained the ascendancy for the final time not long after that. By the time the final hand arose Burris had built more than a 7-to-1 lead. Hinkle shoved for around ten big blinds from the button with JDiamond Suit7Diamond Suit and Burris called holding ASpade Suit8Heart Suit. The board ran out 6Spade Suit6Diamond Suit2Club Suit9Club SuitQDiamond Suit. Burris’ ace-high was good enough to secure him the pot and the title. Hinkle was awarded $61,344 for his incredible run at winning his fourth win in this event. Incredibly, Hinkle and Burris play in a recurring home game together in their native state of Missouri.